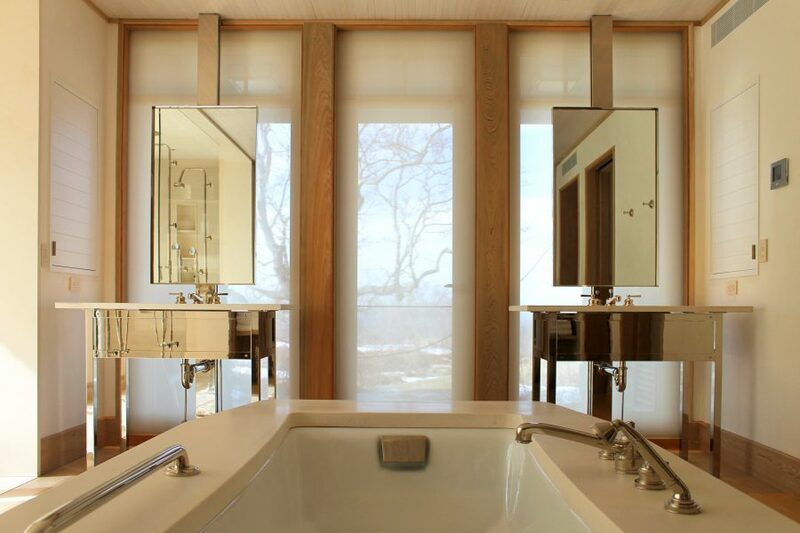 A master bath is transformed into an island oasis capturing and reflecting the soft island light. 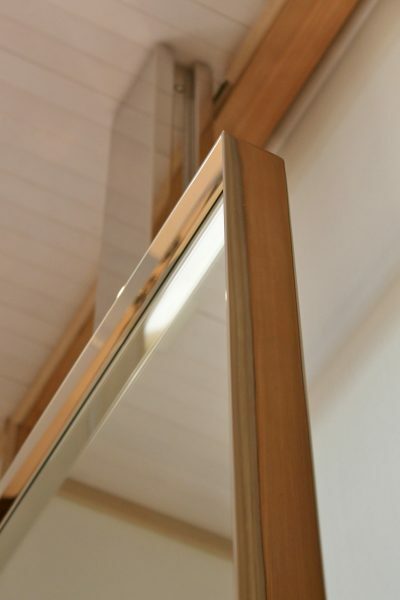 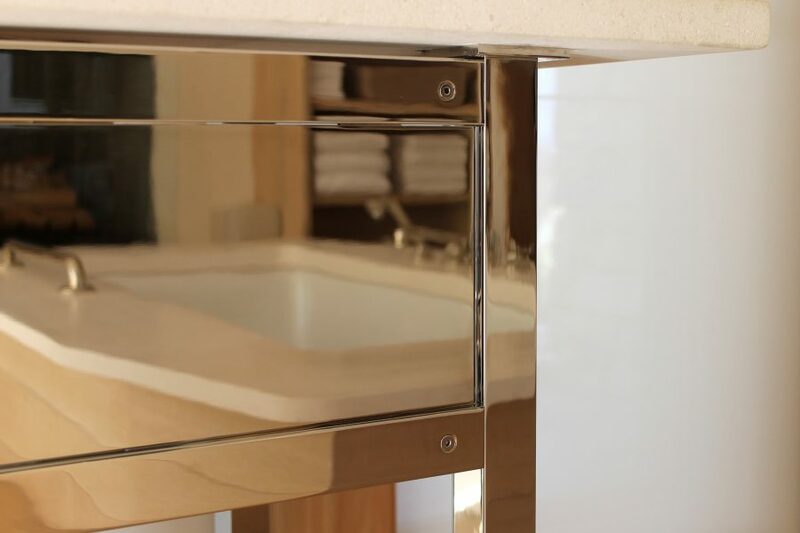 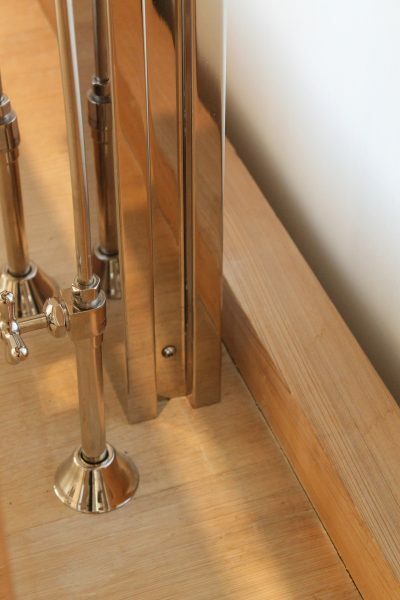 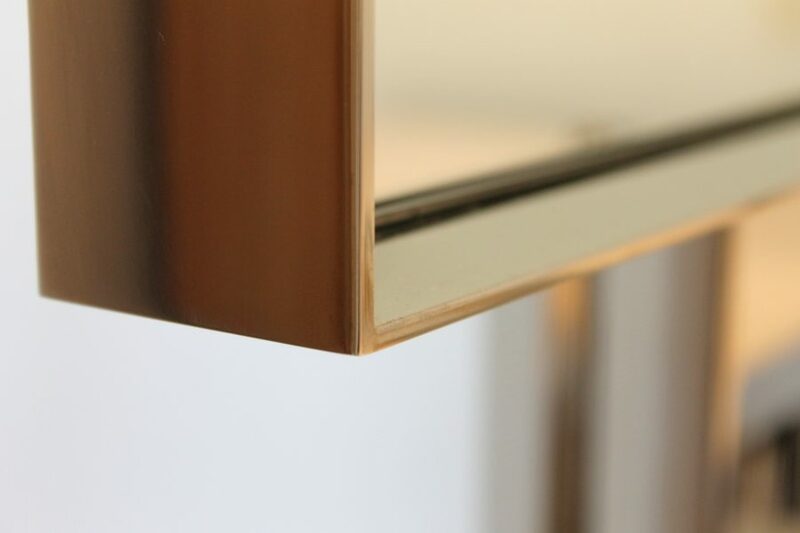 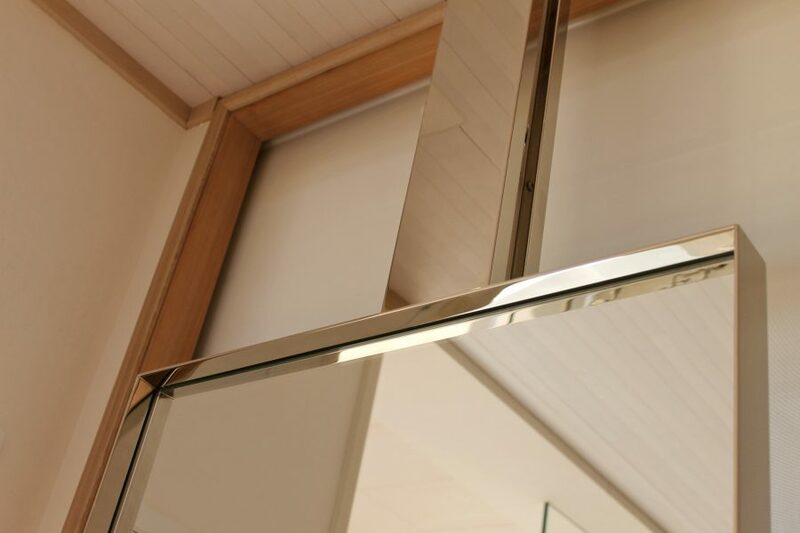 Custom fabricated in the Make Ltd studio, nickel-plated vanities are polished to a mirrored finish while the tall vanity mirrors reveal beveled frames of high polish brass and bronze. 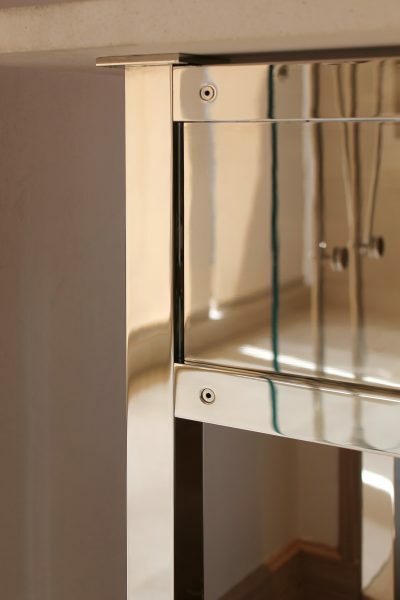 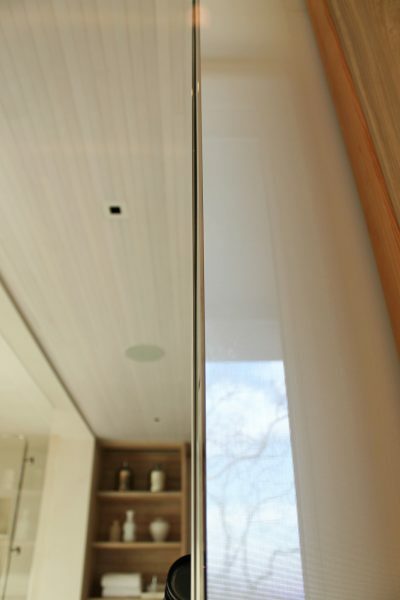 A mirrored column contributes further reflective detailing while concealing plumbing.